LV BET Casino Review (2019) -- Exclusive £5.55 No Deposit Bonus |▷ Play Here! Ta-dah! LV BET Casino review is here! This gambling site was established in 2016 and has been making tsunami-like waves ever since. They have an excellent bonus system in place, they offer a ton of games and their security and safety are on point as well. Read more in this LV BET review to find out if you should give them a try! LV BET has been around for a few years now, and it shows in how they are treating their customers, both new and old. They are not too young in the business to not have any cool extra promotions, but neither are they too old to not have an amazing welcome offer. They are a perfect balance between both – and they’re a fully-fledged UK online casino! LV BET No Deposit Bonus – Exclusive! Sign up by filling in your personal information, such as name, address, phone number etc – and you might be eligible for a €/£5.55 LV BET no deposit bonus, exclusively here! If you’re a resident of Austria, Finland, Germany, Netherlands, Iceland, Luxembourg, Norway, Russia, Switzerland, Sweden or the UK, you’re in luck. Simply send an email with “£5.55” or “€5.55” as the subject header to bonus@lvbet.com and the offer will be credited to your account within 24 hours. Wagering of x50 applies, and the bonus is valid for 3 days. There is a max cashout of €/£100 from this offer. The deposit bonus is certainly a generous one. One of the best things in this LV BET review is looking at the bonus, and here you can see for yourself. N/A – You do not need a bonus code at LV BET. Just follow the Professor’s link. T&C’s Apply – see for the full details. With this big of a welcome bonus, there are going to be some terms and conditions involved. But are they all bad? Your maximum bet when using a bonus is €/£5 per round. Certain games cannot be played with a bonus. The bonus terms and conditions do not seem like anything out of the ordinary. Do note, however, that if you want to skip a certain deposit bonus, you can do that. As a result, you will still get the next bonus if you want. This way you could skip, for instance, the smaller bonuses if you do not want to tie your deposit to them. Once you’ve (finally) finished off your welcome bonus once and for all, LV BET have further casino promotions ready and waiting. That’s because LV BET’s VIP program is a force to be reckoned with. Ranging from a special bonus wheel to unique tournaments and collectable points, every last bit of real money gambling you do will always go further here. It’s so good that it actually made it as one of our best casino VIP programs! They’ve gone out of their way to feature as many payment methods as they possibly could have. Here you a choice between Visa, Paymenticon, Euteller, Giropay, iDeal, Sofort, Trustly, Neteller, Paysafecard and Skrill. This should be enough for any online casino purist out there, but if not then there’s a trick up their sleeve in the form of MuchBetter. What is it? Well, it’s a pretty new method to iGaming, but one that allows you to pay by phone without Boku or bill. This means you can enjoy quick monetary transfers without the threat of low caps. 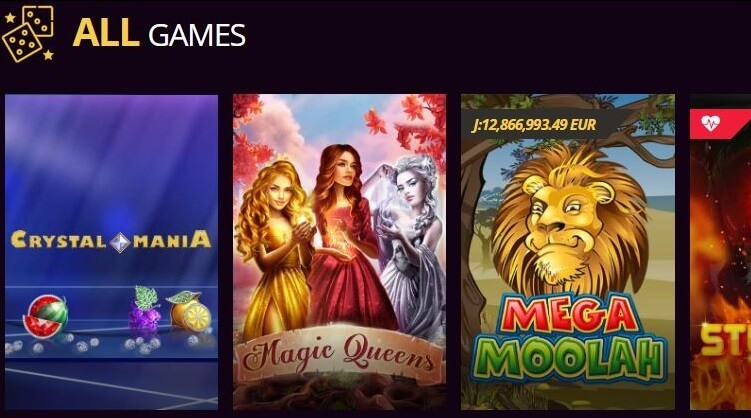 LV BET offers hundreds of games for their players, and they will definitely keep all players entertained in the best possible way. Sports betting is also offered, of course, but slots, table games, jackpots and other goodies are the Professor’s main focus in his LV BET review. They have recruited the best game providers, such as NetEnt, Microgaming, Play’n GO and Merkur Gaming. Mobile casinos are very popular in today’s world. Nowadays just about every online casino will work on your mobile device, although some of them will be better optimized than others. 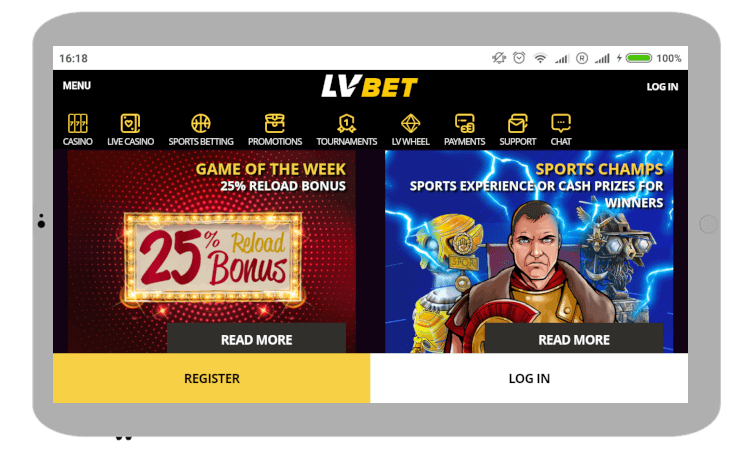 LV BET has done a great job with their mobile casino, which has been one of the reasons for their website’s success. Being that they are in the sports betting business as well, it is of utmost importance that people can easily make bets even when they are nowhere near their home. In the past two years, this casino has shown us that they are a force to be reckoned with—even on the security and safety side of things. The most important pieces of evidence about this are their two licenses from both the Malta Gaming Authority and the UK Gambling Commission. These should be proof enough that they are safe bet for any online casino lover. The list of restricted countries is rather short: United States, France, Spain, Italy, Denmark, Estonia, Belgium, Poland, Hungary, Turkey, Hong Kong, Israel, Romania, Iran and Iraq. Furthermore, they are saying that you cannot play here if you are in any way restricted by your country’s laws. The Professor’s LV BET Casino review is a pleasant one! This platform has plenty of game providers here: NetEnt, Play’n GO, Microgaming, Bally Wulff, BF Games, Gamomat, Greentube, Merkur, Thunderkick, UC8 and Wazdan. Some of these are a lot more well-known than others, but thanks to companies such NetEnt and Play’n GO, you still have some familiar faces here as well. The Professor recommends that you give them a try! Their magnificent welcome bonus and their fine games selection make this a true juggernaut of a casino!